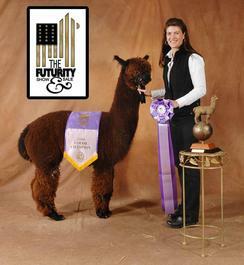 4x Champ, 2010 Futurity Champion! 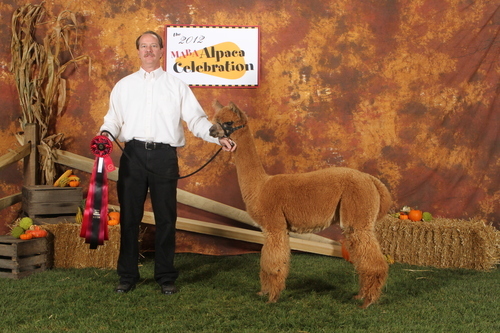 Riley is a beautiful light brown girl with fine and high frequency fleece that is just radiant. 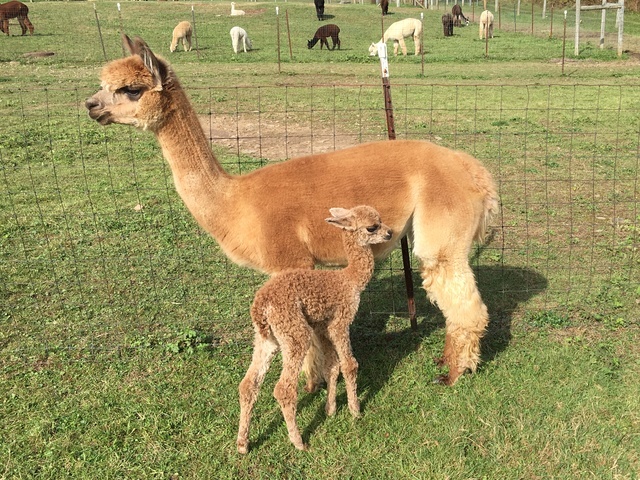 Her cria have been wonderful and in colors from white to true black. This is a valuable foundation female that is co-owned with Kendall Creek Farms. Riley has just produced another beautiful female from her breeding to the multiple champion 5C's Captain Midnight. She is a dark fawn beauty with a very bright and fine fleece. So, now Riley has proven she can produce big hits in three major color groups! For her next trick, let's see what she does with 17 time Champion KCF Isidoro. Izzy is producing cria in colors ranging from gray to white and most everything in between. The common theme has been dense fine fleeces with tons of structure and bundling. regardless of color, that's what we're looking for. 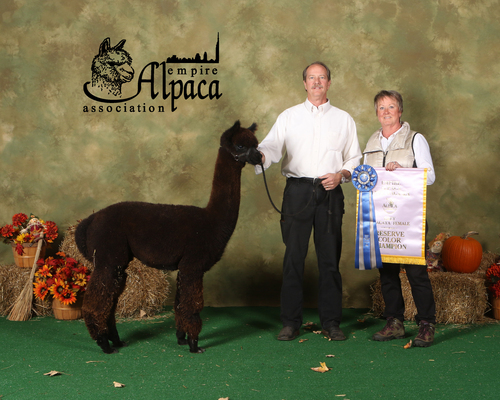 If you are looking to shortcut your way to an Izzy cria AND score an incredible production female at the same time, Riley is your girl. 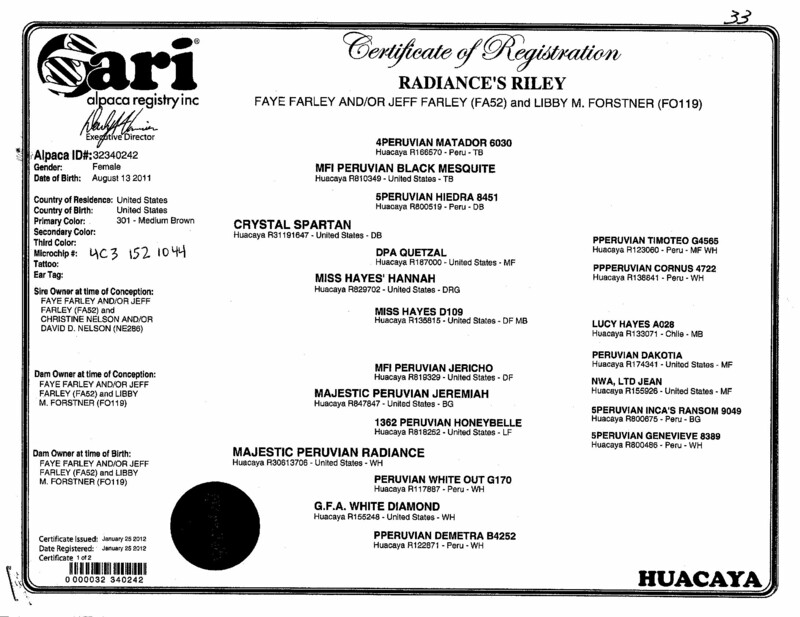 For a very limited time we are offering Riley bred to KCF Isidoro. Call for current price.